Aquatherm Pro-Shields are 360o thermal hanger shields custom cut for Perfect ID match to metric Aquathern OD’s. They are designed to meet a broad range of pipe support applications while providing a continuous section of insulation and factory applied jacketing meeting ASTM E 96A (maximum 0.02 perm) through a variety of pipe hangers. These units are appropriate across the entire Aquatherm temperature range. On all units the insulation and jacketing extend beyond the galvanized steel shield for neatly sealed joint with the adjoining insulation. Units are suitable for use in any type of clamp as well as in band-type hangers and on flat surfaces. Aquatherm Pro-Shields meet the MSS standard for a Type 40 shield per MSS SP-58, Paragraph 9.2.2. Aquatherm Pro-Shields meet ASTM Standards Flame Spread-5-, Smoked Developed -5-. Available for pipe 25mm through 450mm with insulation thicknesses 1”, 1-1/2” and 2”. 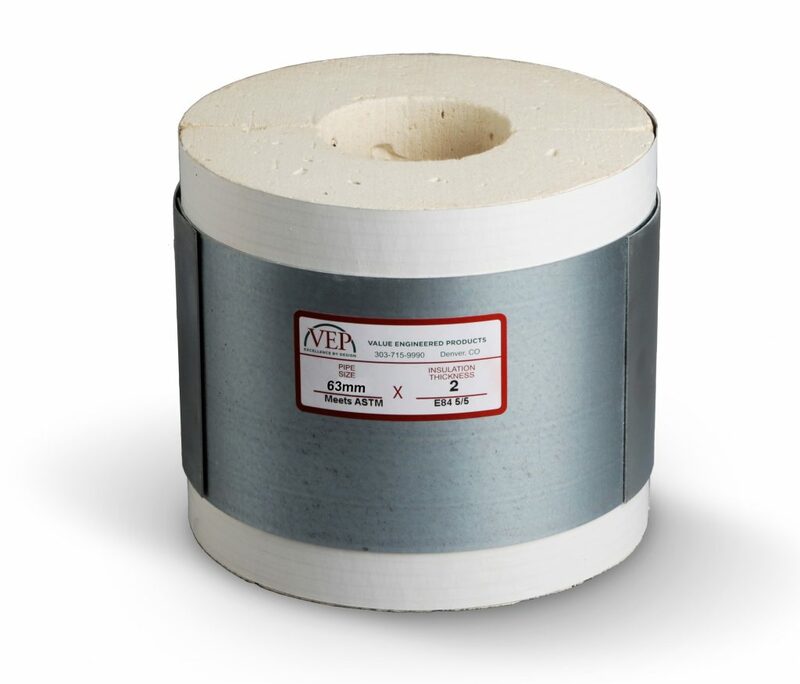 Minimum 100 PSI Calcium silicate meeting ASTM C-533 Type 1, C-795, E-84, E-84, Thermal Conductivity (‘k’) .40 @ 75° mean. Adhesive complying with NFPA 90-A, ASTM E-84.